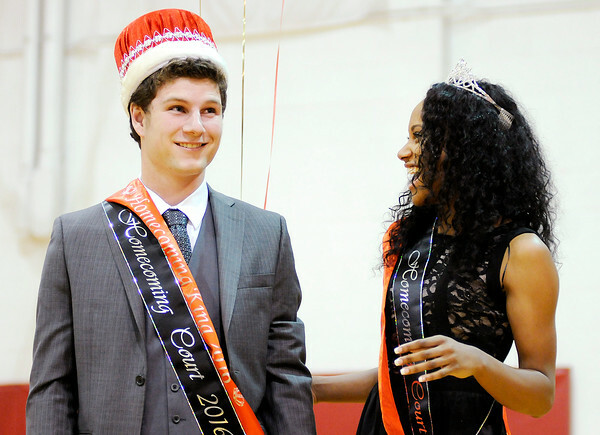 Jared Baker and Monica Watkins were crowned homecoming king and queen during Liberty Christian's homecoming on Friday. Homecoming events continue today with an alumni volleyball game at 10:30 a.m. and alumni basketball game at 3 p.m. in The Den. View more photos online at photos.heraldbulletin.com.